The Russian Hajj Committee has begun accepting applications from Russian Muslims for the annual pilgrimage to Mecca and Medina. According to Rushan Abbyasov, First Deputy Chairman of the Council of Muftis of Russia, republics in the North Caucasus such as Dagestan, Chechnya and Ingushetia send the largest number of pilgrims from Russia to Saudi Arabia. Abbyasov pointed up that Tatarstan also sends a significant amount of pilgrims, adding that there are even a few groups from Siberia and the Russian Far East. The Muslim holy sites became more accessible to Russians after Perestroika. 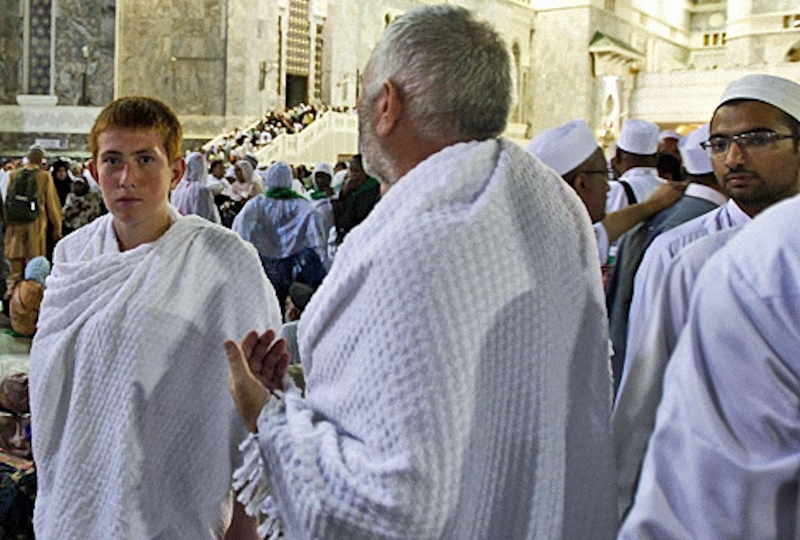 Whilst pilgrims from Russia are more aware of the hardships of undertaking the pilgrimage, they still find the trip physically and mentally challenging, according to Rashid al-Rashid, who works at the Russian Hajj mission, accompanying pilgrims to Saudi Arabia for more than 15 years, saying, “The Russians aren’t as well prepared as pilgrims from Indonesia, Malaysia, Turkey, and Iran. The hot weather and large crowds tend to overwhelm Russian pilgrims. They also take time to adjust to Arabian cuisine”. This year since, due to the rouble depreciation, the pilgrimage became prohibitively expensive for many Russians. The cost of a package tour doubled; it can be as expensive as 5,000 USD (323,000 Roubles. 32,000 Renminbi. 325,000 INR. 6,520 CAD. 6,850 AUD. 4,500 Euros. 3,200 UK Pounds), which is around half a year’s salary in some regions. Syed Muhammad from the Medina Travel agency said, “A couple of years ago, we had a long list of people willing to go, but this year, we had to run publicity campaigns to attract people”. However, despite the drop in demand, the Hajj mission of Russia requested the Saudi Arabian authorities to increase the Russian quota from 16,400 to 17,000. This increase in quota is to accommodate Crimean Tatars; they used to be Ukrainian citizens, but are now Russian citizens. 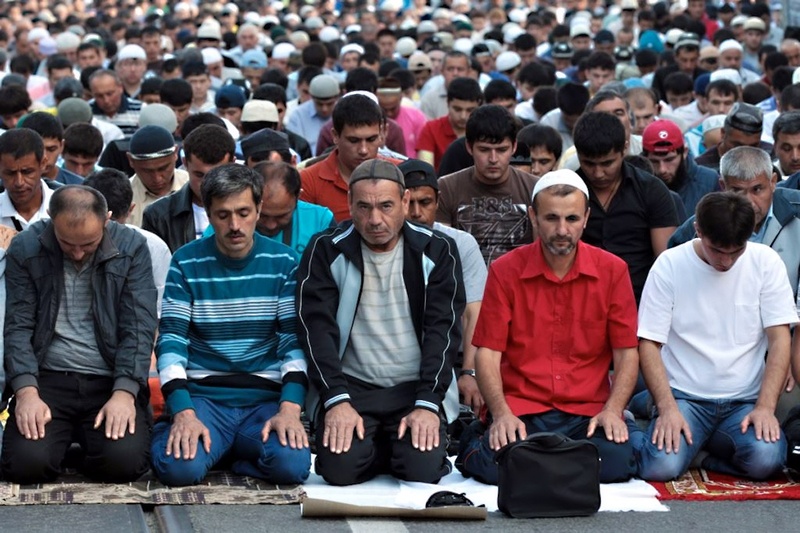 According to the last census (2010), there are around 14.5 million Muslims in Russia, forming about 10 percent of the population. Immigration from former Soviet republics has pushed up the numbers over the last few years, although there are no updated official statistics available now. 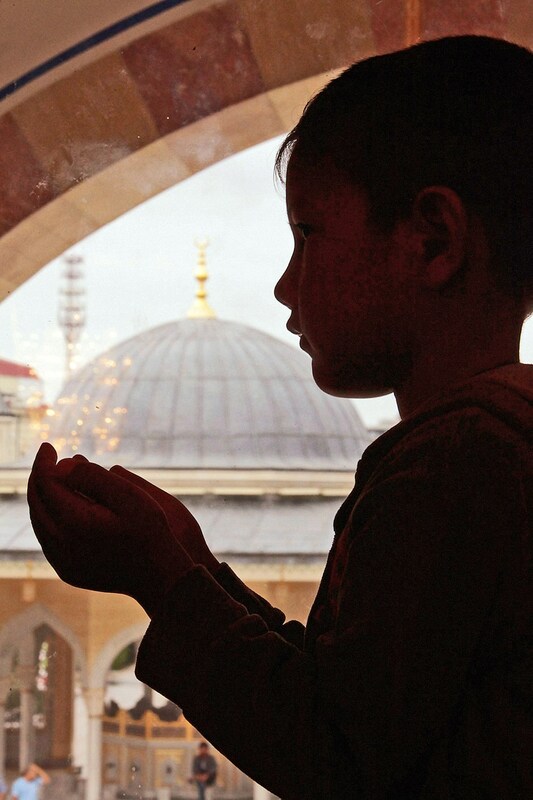 A Chechen boy performs an Eid al-Fitr prayer to mark the end of the holy fasting month of Ramadan in the Chechen capital of Grozny. President Vladimir Putin greeted Russian Muslims at the start of Eid al-Adha (a religious holiday better known in Russia as Kurban Bayram). In his Tuesday address, Putin said, “This holiday, which marks the end of the Muslim pilgrimage to the Holy City of Mecca, is an integral part of a rich spiritual legacy that belongs to our multinational community. It has a profound moral sense and conveys joy; it reinforces people’s faith and spirituality. Islam is based on eternal values of compassion and justice, on mercy and love for your neighbour”. Putin said that he was glad to see Russian Muslims coming up with more initiatives in the cultural and educational spheres. He emphasised that the state paid much attention to beefing up ties with Russian Muslims by facilitating dialogue between them and other confessions. On Thursday, the Kremlin press service reported that President Vladimir Putin sent his greetings to Muslims on Eid al-Adha, which begins on Thursday and continues through the weekend. Putin wrote, “Over the centuries this holiday brought the brightest and most gracious feelings. It brings people closer, affirms the ideals of kindness, compassion, and respect, and reveals the depth of the timeless spiritual values of Islam”. Foreign Minister Sergei Lavrov offered the more specific wish for a ceasefire in Syria throughout the holiday period. After meeting with his Swiss counterpart, Didier Burkhalter, Lavrov said, “I very much expect that the attempts to organise a truce that are currently underway will succeed”. The UN/Arab League special envoy to Syria, Lakhdar Brahimi, called Syrian government forces and rebels to agree a truce throughout Eid al-Adha. On Wednesday, the Syrian government said that it agreed the proposal and some members of the armed opposition also responded positively. Speaking about his talks with Burkhalter, Lavrov said, “We’re convinced that there can only be a political solution to the [Syrian] crisis and that the sooner the violence ends and a dialogue without preconditions begins, the more hope all of us will have for exiting the crisis with the least harm done”. Eid al-Adha, the Festival of Sacrifice, comes the day after pilgrims making the Hajj to Mecca in Saudi Arabia descend from Mount Arafat. It commemorates the Prophet Ibrahim‘s readiness to sacrifice his first-born son Ishmael. Nowadays, the holiday celebrates commitment, obedience, and self-sacrifice in the name of Allah. As a symbol of Ibrahim’s sacrifice, all Muslims who can afford it must slaughter a sheep or cow and distribute its meat equally among members of their family, friends, and the poor.